Caution:Ensure both components are aligned correctly or seriousengine damage will occur. 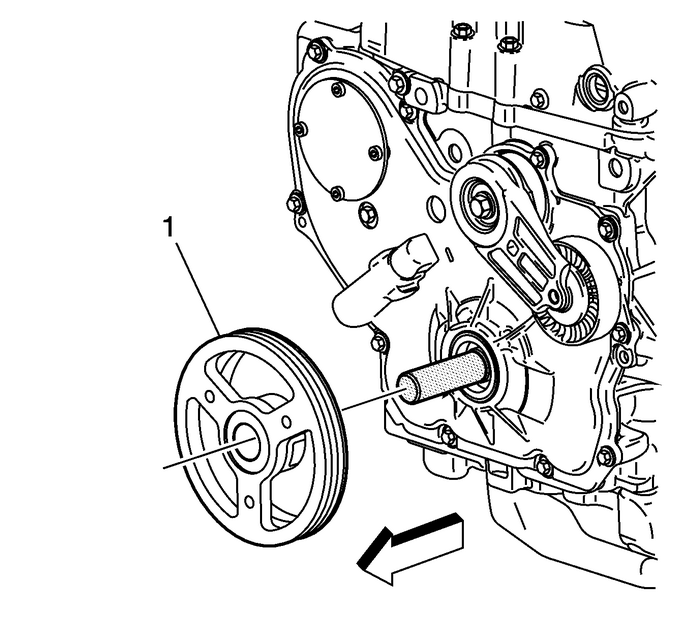 Install the EN 38122-A holder into the end of the crankshaft.Install the balancer-(1) onto the EN-48585 guide. Use care to properly align the keyway and flats on the balancer with the oil pumpdrive. 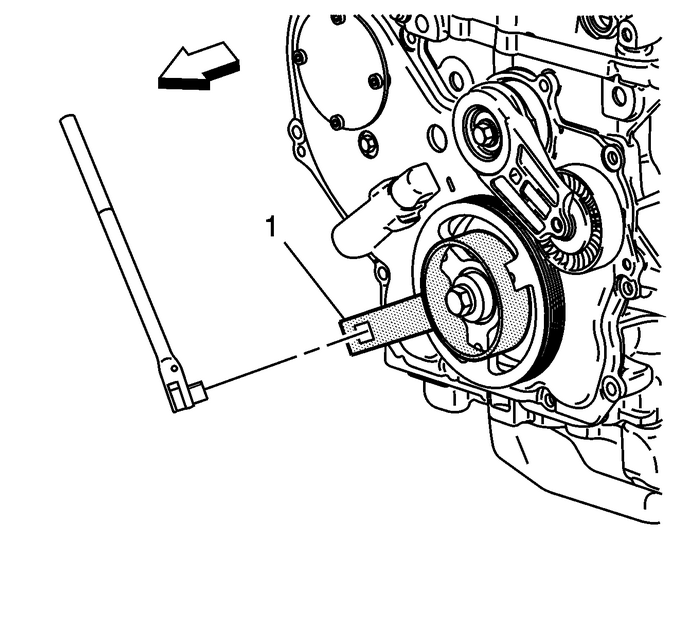 Note:EN 43653 locking tool may be used instead of EN 38122-A holder to prevent crankshaft rotation. Install the EN 38122-A holder-(1). Note:Always install a new crankshaft balancer retaining bolt and washer. Install a new retaining bolt and washer. Use the EN 38122-A holder and a breaker bar to prevent the crankshaft from rotating when tightening the bolt.Tighten the bolt to 150-Y (111-lb-ft) plus 100-degrees using the EN 45059 meter. Install the EN-48953 locking tool-(1) and tighten the bolts into the cylinder head. 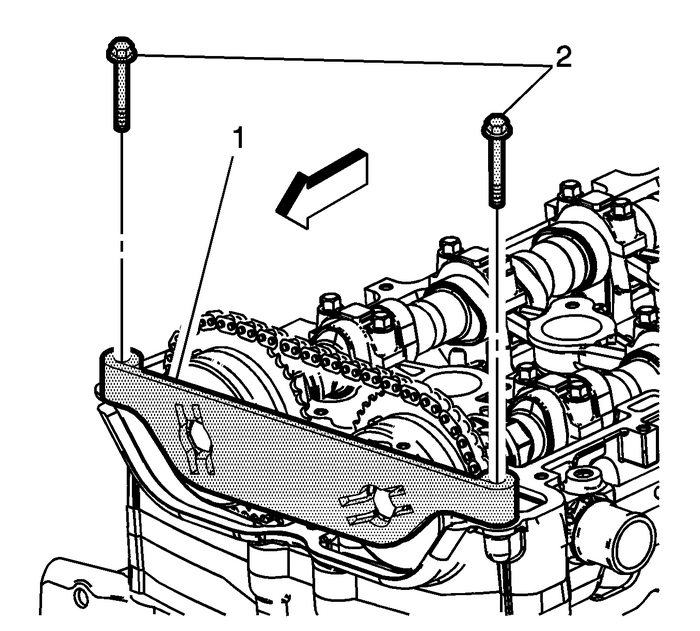 Tighten the EN-48953 locking tool retaining bolts to 10-Y (89-lb-in).Release the timing chain tensioner by applying 45-Y (33-lb-ft) counterclockwise torque to the crankshaft balancer bolt.Remove the EN-48953 locking tool.